Financing for car washes has always been a challenge. But today loans for car washes (or ‘car wash loans’) are made easier by the changes in the Small Business Administration (SBA) loan program. At Dividend America, we know how get deals done and financing for car washes is one of the things we do very well. We help entrepreneurs with commercial loans for car washes and financing car wash operations in many locations across the country. With the start of the full service car wash craze in cities like Phoenix, AZ and Austin, TX we have seen the phenomenon spread east to cities like Atlanta, GA and Charlotte, NC. Financing a car wash can present some challenges including environmental issues and appraisal valuation issues. Our car wash loans take these challenges in stride which makes for successful closings on loans for car washes of all types and sizes. With SBA 7(a) and SBA 504 loans it is possible to include funds to remediate environmental challenges and to address deficiencies in equipment, signage, canopies, or even the building structure. Whether in Atlanta, GA; Phoenix, AZ; Austin, TX; Charlotte, NC or any other state in the nation, Dividend America provides financing solutions for car wash purchases, refinancing, or even construction loans. Low costs and -0- due diligence fees! Consolidate small loans and leases with a larger loan and obtain cash for continuing operations. 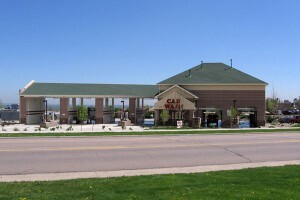 This car wash loan can save thousands of dollars per year and increase valuable cash flow. Let us show you what a full service car wash refinance loan can do for your bottom line. Do you know of a market that is ripe for a car wash? Financing for commercial construction loans for car washes is available. Especially if the car wash is a franchise or proven business model. Give us a call and get your project off the ground quickly. Buying a car wash has never been easier. Whether you intend to purchase a car wash in Atlanta, GA; Phoenix, AZ or any other city in the USA, the experts at Dividend America can help by providing expert advice, exceptional service and no due diligence fees!